With shades of The Hunger Games, Ender's Game, and Game of Thrones, debut author Pierce Brown's genre-defying epic Red Rising hit the ground running and wasted no time becoming a sensation. Golden Son continues the stunning saga of Darrow, a rebel forged by tragedy, battling to lead his oppressed people to freedom from the overlords of a brutal elitist future built on lies. Now fully embedded among the Gold ruling class, Darrow continues his work to bring down Society from within. 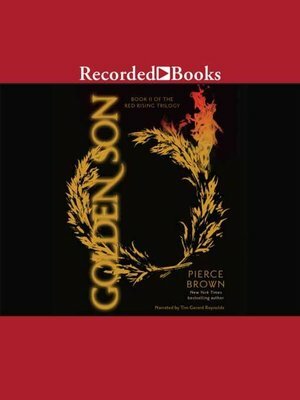 A life-or-death tale of vengeance with an unforgettable hero at its heart, Golden Son guarantees Pierce Brown's continuing status as one of fiction's most exciting new voices.